There are many opportunities to be involved at our school as a volunteer! For the safety of our students, all volunteers must submit a Volunteer Background Check form before working with our children in the building or attending a field trip as a chaperone. Visit our main office to pick up a copy of this form. Once submitted, approval may take several weeks, so be sure to plan ahead! Help in your child's classroom. Many of our teachers rely on parent volunteers to help with a variety of tasks in the classroom or in work that can take place in other parts of the building (running copies, hanging up student work, etc.). 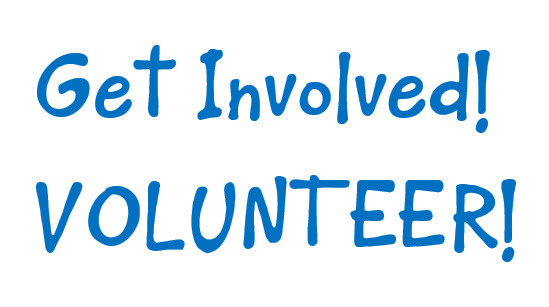 Check with your child's teacher about how he or she uses volunteers! Help from home. Many of our parents work or are otherwise unable to come to school to volunteer during the school day. If you'd like to help with projects from home, let your child's teacher know! Sometimes they have tasks that can be done from the comfort of your own home that are hugely helpful to our students! Get involved with the PTO! We have an amazing group of PTO parents who support our school throughout the school year. Participation in this group as a regular member is great, but even if you can only help with a few events per year, your contributions are greatly needed and appreciated! Watch for PTO newsletters coming home with information on upcoming events and stay in tune with the PTO's Facebook page. Chaperone a field trip! Each grade level takes approximately two field trips per year. Prior to the trip, teachers will identify the number of chaperones required and will reach out to parents to enlist help. These are always fun times with the students in a different learning environment! Help at a special event! From the Halloween event in October, to the Spring Carnival, to annual book fairs, there are always events happening that can only take place because of our parent support. Watch for information to come home about each of these. If every parent could help with one major event, we would have them all covered!